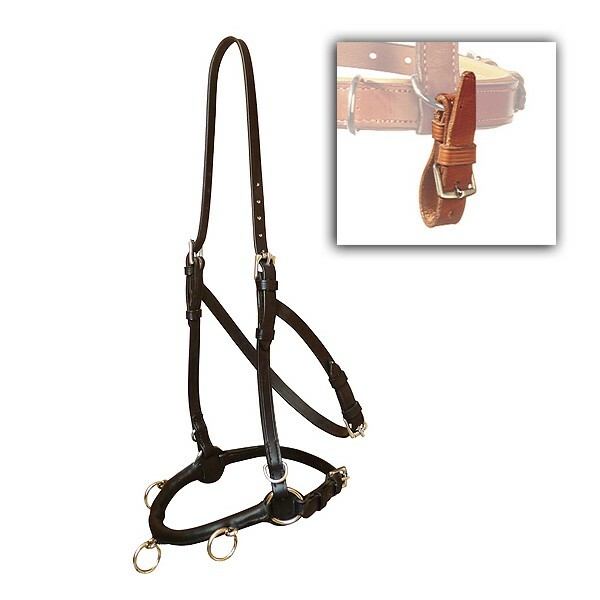 NEW Excellent quality soft leather alternative to the standard serreta. 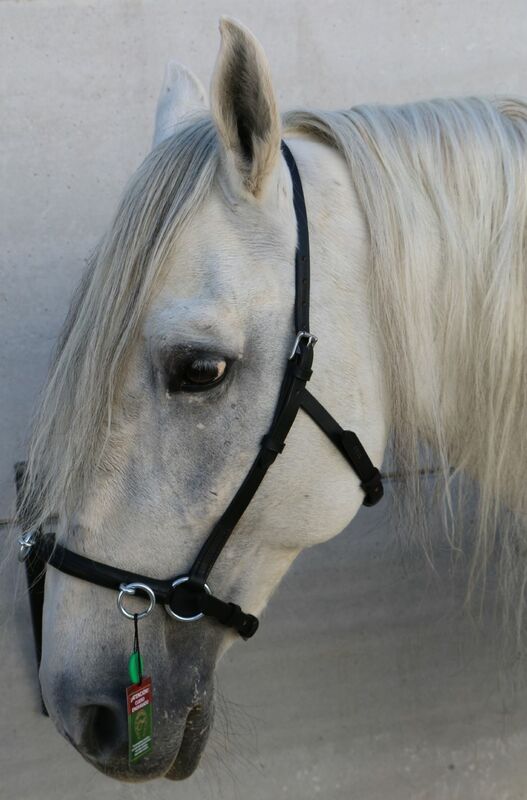 The noseband consists of a fairly fine link chain covered in soft leather, fitted with three rings. 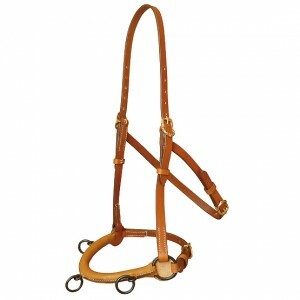 It is fitted with the lower style cheek/throat lash, designed to prevent the headstall moving close to the horse's eye. 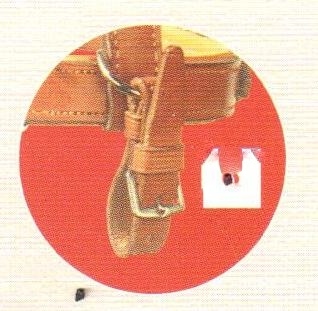 It can also be ordered with additional buckles to carry a bit if required. Available in black, brown natural/avellana, white. 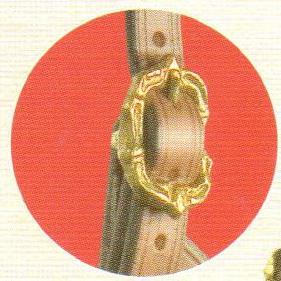 Available in two buckle type options either the Portuguese cortesia type as main illustration or with English buckles with rollers, see second illustration.